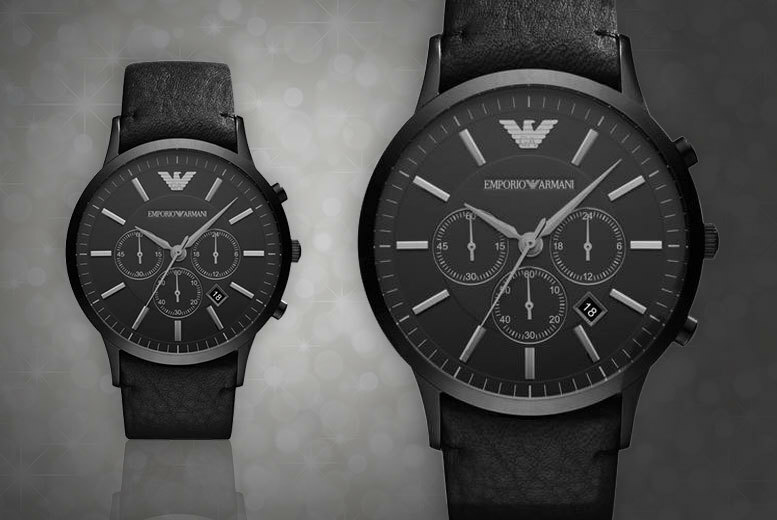 Super stylish, this all-black watch features silver-toned Roman numerals, three subdials, a date display function and is topped off with the Armani logo. With a quality black leather strap, he’ll be looking as suave as ever! In a sleek black design with statement silver accents. On a stylish black leather strap. Features a Roman numeral face, three subdials and date display. The perfect gift for your fella!